Home/House Tales/Light and Bright? It starts with great window placement and planning! Most home buyers I meet prefer a light, bright home. To the point that “Light and Bright” has become a common marketing cliche in listings and ads. It is difficult to have a “Light, Bright Home” without smart window placement. 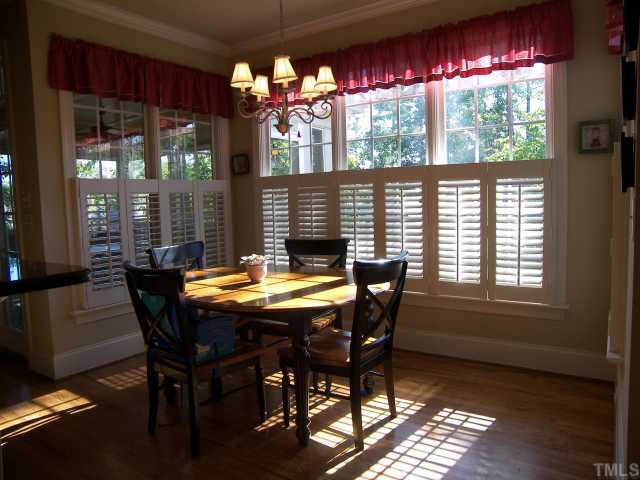 Too many windows means too much glare and summer heat gain and winter heat loss. So windows need to be placed well to maximize light without accentuating negatives. I love rooms with windows on two sides. They always seem airier and lighter. Notice how pleasant the room is. The door glazing floods that left hand wall with light and makes the room lighter without excessive glare. And that door is on the south side of the house. The other two windows are split to either side of the bed location. Smart move. 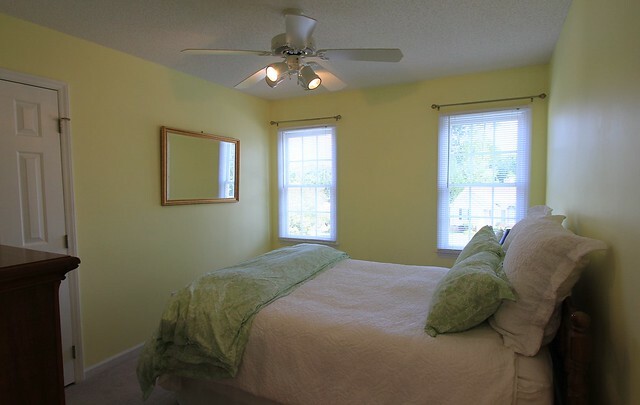 Double windows in the middle of the wall would have made bed placement more difficult, and again, being nearer the edges of the room, they add light with less glare. Again, windows split and flooding the walls with light. Look at the walls and the reflected light that is cutting down the glare and contrast. It is a good choice of paint color for the room. I like lighter paint around windows. Bright sunlight entering through windows on dark colored walls creates glare like a sledge hammer. Windows can be difficult to photograph without the photographer dealing with the glare. And your eye finds the stark sharp contrast uncomfortable also. Additionally, that room faces nearly due north. The coveted North Light. Always light and never a painful glare or heat. I looked recently at an office space, and wanted it if only for the wall of floor to ceiling windows on the north side. Here is a breakfast room in a very pretty house. And it works well, particularly if you like to work with light and shadow. And if a dark room is to your taste. And all that depends on the angle of the sun at any given time, and the time of year, as that window faces due south. It can be very bright, and the wall very dark. Trees and shrubs can help diminish glare with filtered light to heavy shade. We have a winged elm outside our triple window at our breakfast table. It is on the south side, and spreads far enough that it filters the light nicely. The light green we will have when the elm begins to leaf out is lovely in the morning. We didn’t plan it or plant the tree, or realize it when we bought. We got lucky. If we decide to ever move, it is an effect we will attempt to duplicate. 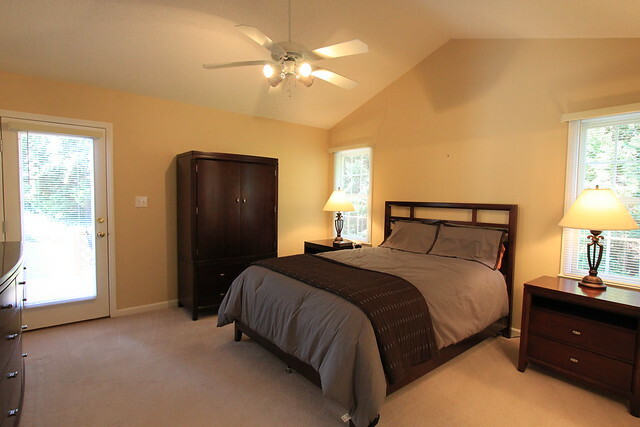 Previous PostPrevious Get Pre-approved to have a chance in the Cary Real Estate Market. Next PostNext “Coming Soon” culture? Is this current fad of REALTOR® MLS Members Eroding the Credibility, Equity Value, and Integrity of Our Multiple Listing Service?